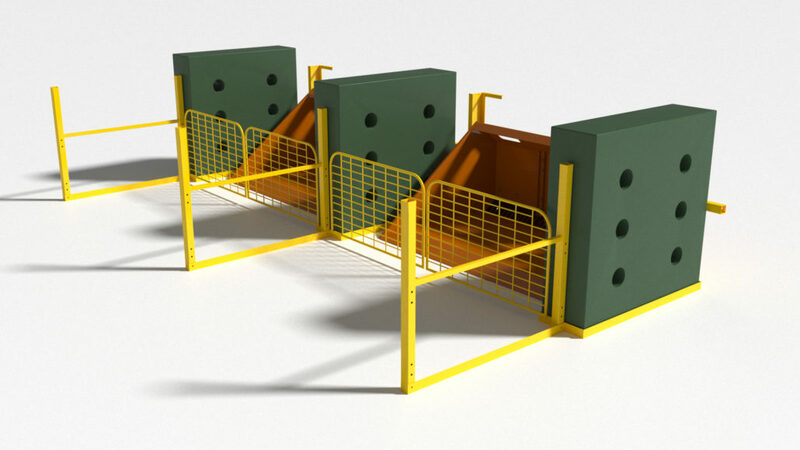 Standard Modular Design provides can be supplied in less than 6 weeks, added and subtracted from with demand. Designed & Developed in Australia, patented globally. 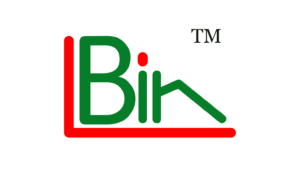 Made in multiple locations across Australia, from recyclable materials. 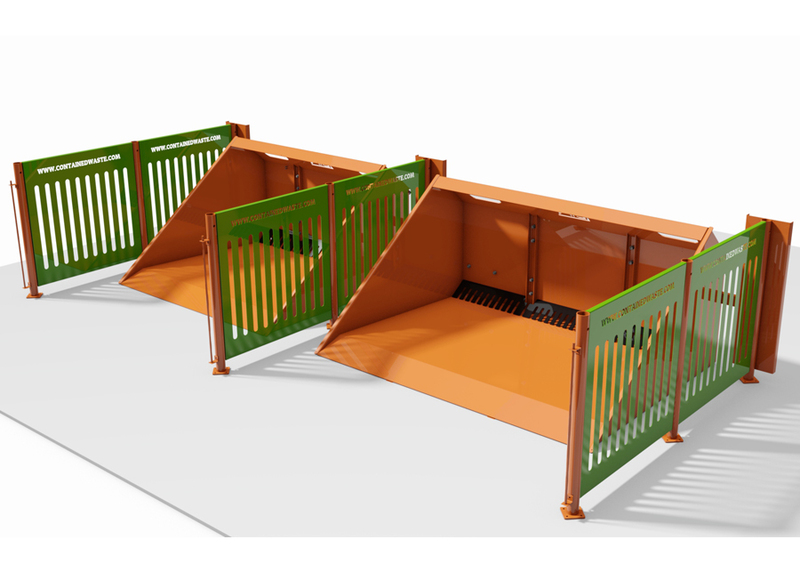 With such a simple cost effective & standardised design, the system is just a small fraction of the cost of traditional constructed Waste Transfer Station. You can even build it a bay at a time as you need. Intercept problem waste & dramatically improve Reuse & recycling material recovery. 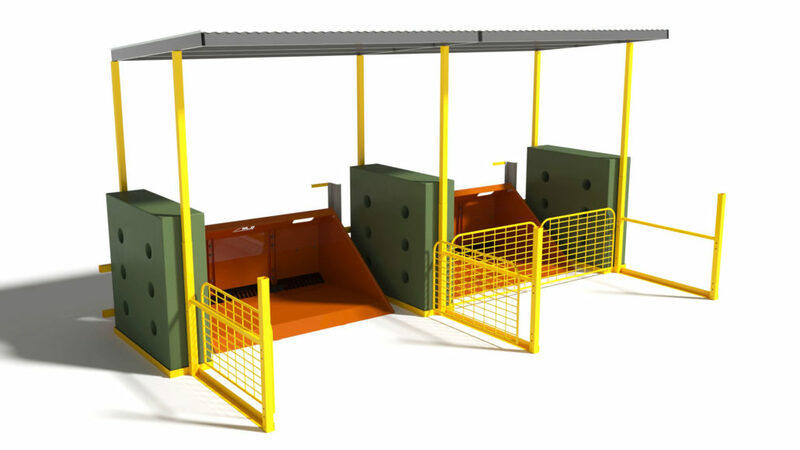 Eliminates all the big Hazards of waste transfer stations. 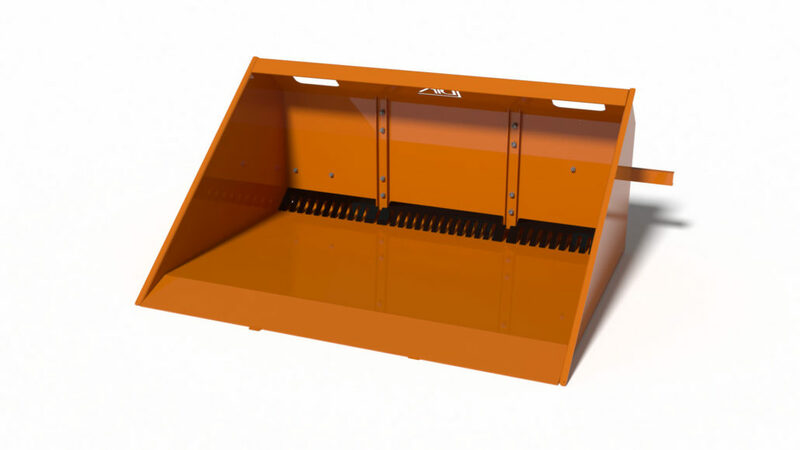 Lay & Display inspection and the ability to move bins to sorting bays allows for the Maximum extraction with the minimum of damage Reuse and Recyclable materials. 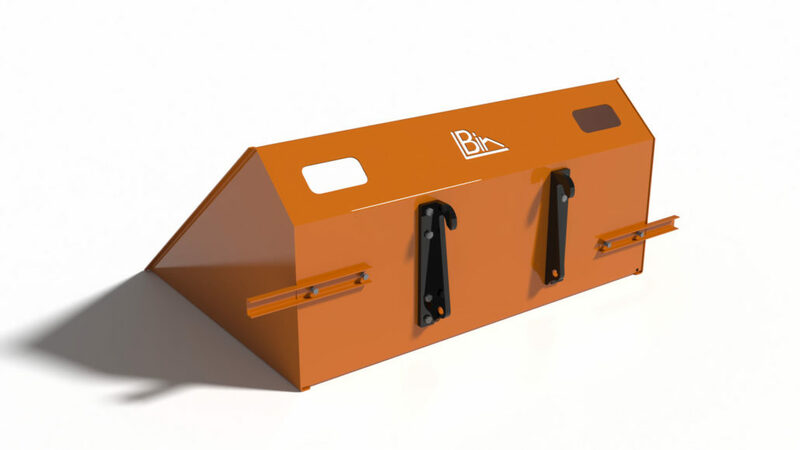 With a fully sealed bin & a quick to attach Quarantine Membrane hazardous waste can be easily identified, contained and removed from the work area. Stops to limit potential for LBin to be driven into public area. Finger gate to separate solid and liquid waste. Helps to clear bin when emptying. Spring Loaded stops, Minimise damage to Equipment. Quick hitch attachment. Adaptable to many Machines. View port for operator visibility. Self supporting BumpBay systems for un-concreted, mobile and temporary Sites. Operator Height and width positioning Guides.